The 23rd edition of the Malta Jazz Festival will be held at Ta’ Liesse in Valletta between July 18 and 20. The first night of the festival will feature Robert Glasper Experiment, fresh from his Grammy-award victory. Glasper’s music boldly stakes out new musical territory, drawing from jazz, hip hop, R&B, and rock, transcending any notion of genre. 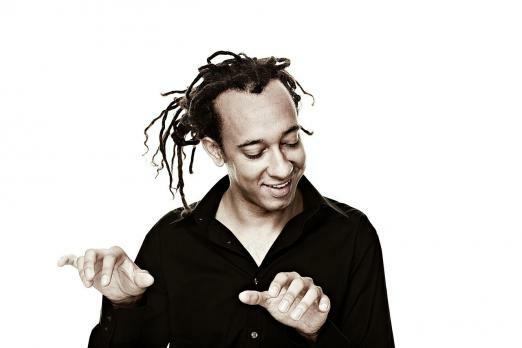 Also performing on the first day will be two-time Grammy award nominee Gerald Clayton with his trio. Clayton’s dynamic sound has been praised by the Jazz Times and Los Angeles Times and he was recently voted first place for Rising Star – Pianist in Down Beat Magazine’s 2010 Critics Poll. Grammy nominee and one of the current jazz greats Gregory Porter will perform at the festival on July 19. Performing on the same night will be Grammy-nominated composer-pianist Vijay Iyer, who was awarded an unprecedented quintuple crown in the Down Beat International Critics Poll. The Vijay Iyer Trio won the 2010 Echo Award (the 'German Grammy') for best international ensemble and the 2012 Downbeat Critics Poll for jazz group of the year. 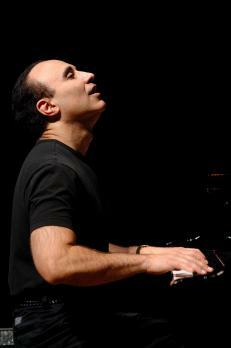 Multi-Grammy award winner and internationally acclaimed pianist and composer Michel Camilo - who moves with ease between the worlds of Jazz, Latin and Classical music - will be back in Malta to perform on July 20. Gilad Hekselman, one of the most exciting Israeli-born musicians on the jazz scene, will also perform with his quartet on the same night. The Maltese acts will include the festival’s former artistic director Charles 'City' Gatt with his vibraphone quintet on July 18, Walter Vella Quartet on July 19 and Cusp on July 20. In the days preceding and following the festival, a number of events – including masterclasses and open-air concerts - will also be held. This year will also see the first edition of the Malta Jazz Contest, being held by the festival in collaboration with the Embassy of Malta in France and Malta International Airport. The contest will be held on July 21 and is open to jazz soloists of Maltese nationality up to the age of 35. Participation is free of charge. The winner will participate in the Les Sons d'Une Île festival in Paris, organised by the Embassy of Malta in France. Results will be announced on July 21 after the competition. The jury will consist of foreign jazz musicians participating in the Malta Jazz Festival. The Malta Summer Jazz Camp is also being held for the first time in collaboration with the Malta International Airport and the Euro Institute of Music. This will feature some of the most important musicians in the European jazz scene today. These workshops/masterclasses will be held at the Euro Institute of Music (Hamrun) between July 17 and 20 and are free of charge. The teachers in this year's Jazz Camp are Rino Cirinnà – saxophone; Claudio Angeleri - piano/jazz theory; Romain Pilon – guitar; Mátyás Szandai - bass/rhythm section; Karl Jannuska – drums/rhythm section. The Malta Jazz Festival is supported by the Malta Council for Culture and the Arts. Sandro Zerafa is the artistic director. It is sponsored by the Malta International Airport, Cyberpass, MSV Life, Switch, Hotel Phoenicia, the Valletta local council and the Culture Ministry.